Stephanie is on her way back from a Hawaiian vacation with a man snoring loud enough to shake the plane out of the sky and a seatmate who doesn’t return after their stop in L.A. When she gets back to Trenton, everyone wants to know what happened in Hawaii- why does she have a ring tan line and why did she come back alone? Stephanie doesn’t want to talk about it- it’s complicated. She soon learns that her seatmate from the plane was found in a trashcan and the photo she found in her carry-on is very important to several people. Too bad she threw it away. Now she’s got fake FBI guys, real FBI guys, jealous girlfriends, and all the regular characters after her. Explosions, relationship drama, and FTA’s on the run ensue. This was a typical fun, crazy Stephanie Plum adventure. Lula and Grandma Mazur are hilarious and I craved junk food for the next week. 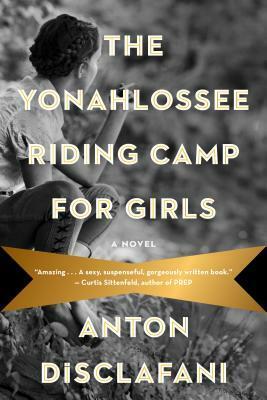 The story begins as fifteen-year-old Thea Atwell’s father drops her off at the Yonahlossee Riding Camp for Girls. Thea has been sent away from the only home she has ever known, a perfect swath of Florida land, her pony, Sasi, and her twin brother, Sam. The year is 1930 and the county is in the midst of the Great Depression; however, the Atwell family’s citrus farms continue to be prosperous and Thea finds herself around other girls from wealthy families where social status is of the utmost importance. As Thea navigates the complicated social structure and feels abandoned by her family, she takes an intense interest in the headmaster’s family and tries to forget the terrible situation that caused her expulsion from her family and home. I loved this book. It was full of drama, passion, bits of history, family struggles, sexual awakening, and the emotional roller coaster of being a teenager. The story of why Thea was sent away is told in flashbacks – a plot device I enjoy if it’s done well. The story has some mature content; I would recommend to older teens or adults. 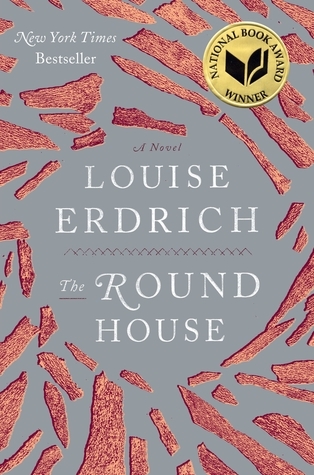 During the summer of 1988, a woman is attacked and raped on a reservation in North Dakota. She slips into a deep depression, refusing to leave her bed. Her husband and her son, Joe, try to fix things by searching for her attacker. 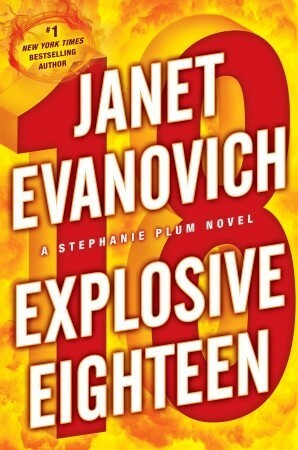 Thirteen-year-old Joe is forced to grow up quickly that summer. His father, a tribal judge, now treats him like an adult, and Joe, with the help of his friends, tries to find the attacker and serve justice. I was surprised by how much I liked this book. Joe’s coming-of-age story was both captivating and heartbreaking. Highly recommended for adults. 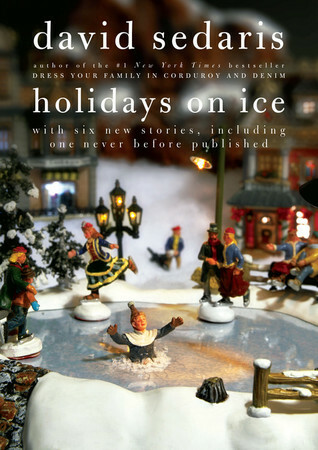 This is a collection of essays about Sedaris’s gig as an elf at Macy’s during Christmastime. He theorizes that even though he most likely failed the drug test and had a terrible answer to the interview question “Why do you want to work here?”, he was chosen because he is short. His descriptions of the many types of elf one can be on any given day, the terrible parents who drag their children to SantaLand, and the good and bad santas keep the reader cringing and laughing throughout the whole book. Again, the audiobook is the way to go. As a child, I’m thankful I was never made to sit on Santa’s lap only to have the register elf tell my parents the picture would be mailed at the end of January. Extremely funny book. A collection of witty essays by humor writer David Sedaris. Stories include his time living in France, using LP album covers to scare away birds terrorizing him, his adventure to Tokyo to quite smoking, and his avoidance of the bulkhead in an airplane at any cost, including the wrath of his seatmate. 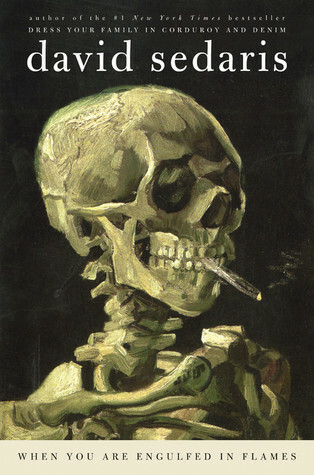 I tried to read a David Sedaris book several years ago and couldn’t get into it. I discovered the key to my enjoyment of his work is to listen to the audiobook. Sedaris reads his own books, and his voice telling the stories makes all the difference. I laughed out loud so many times during the book. I even rewound the book to listen to parts again. Other people have said this isn’t his best book, but I enjoyed it as my first.